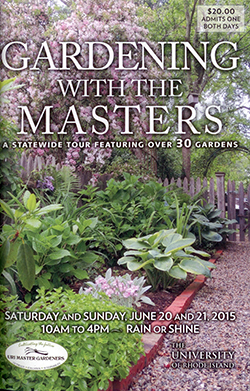 Less Noise, More Green: Welcome URI Master Gardener Garden Tour Attendees! Edible Landscaping podcast. Part 1 and Part 2. I am the guest on the WADK 1540 AM URI Master Gardener radio show "For the Love of Gardening" discussing Edible Landscaping. Follow the development of this garden from front lawn to a food garden, HERE and HERE. Providence Journal Feature Story on my garden. Pinterest Board on this garden featuring the name, Latin name and photo for each plant. In the right hand margin of this page you will find two years worth of links to veggie gardening topics covering everything from composting to seed starting, to tips on growing individual vegetables. "For the Love of Gardening" radio podcasts, of which I am one of the hosts. Enjoy all the information on this blog and I hope you will come back and visit me here soon.